Jenny Berg of Vintage Plantations in Sweden first studied chocolate on a study trip to the UK in 1993. 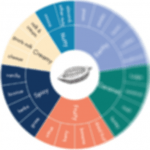 But it wasn’t until 2006 when she met Pierrick Chouard of Vintage Plantations in the US that she became involved in bean-to-bar chocolate. As Vintage Plantations in Sweden, Jenny has set up collaborations with cocoa growers in South America and the Caribbean, and takes pride in adding only raw sugar and local Nordlanska berries, herbs and speciality ingredients, such as Swedish Licorice Factory licorice, to her bars. 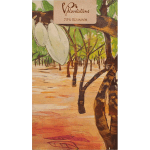 Much of the artwork on Vintage Plantation chocolate wrappers is done by artists from the cocoa plantations, and all the packaging is environmentally friendly.